I detest most games, especially board (or is it bored?) games. Even as a child, as the rest of my siblings and cousins eagerly gathered around our Aunt Bubba’s card table to play a riotous game of Monopoly or Gin Rummy, I would skulk away and find something else to do. Usually I’d write a story or draw cartoons. Maybe it’s that I lack the patience to wait my turn. Or, more likely, its that I just don’t see the point to most games. I won Park Place! Big deal. Whatever the reason, most board games drive me batty. Sometimes I feel badly about it for my own kiddos. Not surprisingly, “family game night” hasn’t really been a priority for me. So I am a bit thrilled that I actually found a game that seems to make everyone happy. As a writer I try to be aware of my surroundings and sometimes find myself staring at things for an inordinately long time. 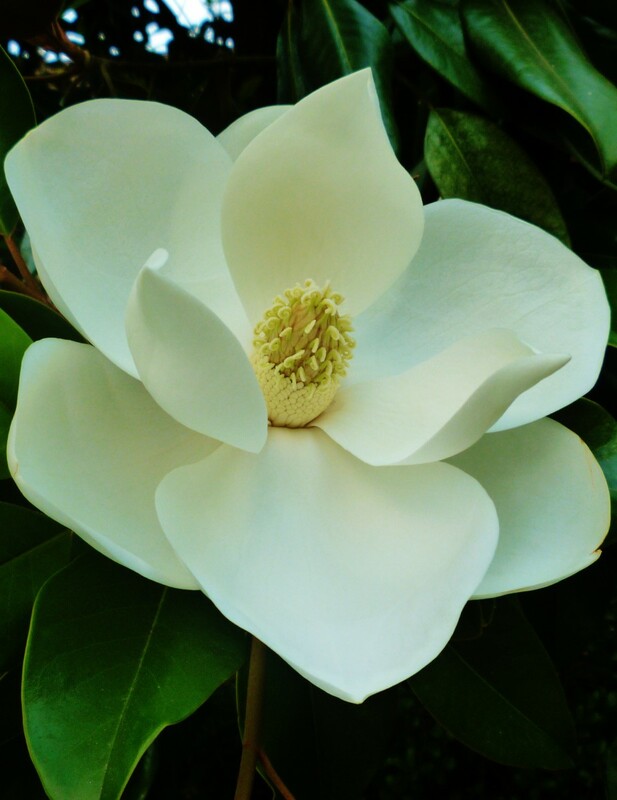 My children will often break my trance with a frustrated “Mommmmmyyyyyy!” So, one day I invited them into my interior space and asked them to choose three words to describe the magnolia bloom that had caught my eye. After a few moments of silent observation they came up with : “Creamy.” “Soft.” “Pure.” How great is that?! We’ve had fun with tree bark, peonies and lightning bugs among other things. Even my husband has gotten in on the action, though sometimes his descriptive words are a little (as my Great Aunt Irene would say) rich, rare and racy. I can already see how this little game is helping my writing by challenging me to find ways to be more descriptive. And I wonder if this will help them if they are bitten by the writing bug. But above all, I’m hopeful that it will encourage each of us to stop and take good long looks at the little everyday wonders of this wondrous world. *Yes, yes, I know that greeny-gold isn’t a real word, but still, it’s pretty descriptive for a 7 year-old. Most writers seem to come from families of voracious readers. I am not one of those writers. Mom and I at a pub in Galway, Ireland. Not a book in sight. Unlike me, my mother would much prefer a good Masterpiece Theater or some witty conversation to reading a book. In fact, she has an intrinsic suspicion of anyone who would rather have their nose in a book than enjoy some laughs over a cup of coffee or a cocktail (preferably bourbon in a tall glass). But what she is, and what I hope might have rubbed off on me a little, is a great storyteller. Margaret Flanigen Carden can make a story come alive like no other. Maybe it’s that she’s 100% Irish–or maybe because she is a Southerner– I don’t know, but her stories take on a kind of legendary quality when she weaves a tale. I could swear that I was actually there for some her childhood antics with the characters that populated 1930’s Nashville–Hawk and Minnow, Big Mommy, Tweet, Tomato Foot, Sugar Berry, Sam, Whoopzie Barazini, Mumbles . . . I could go on and on and on. 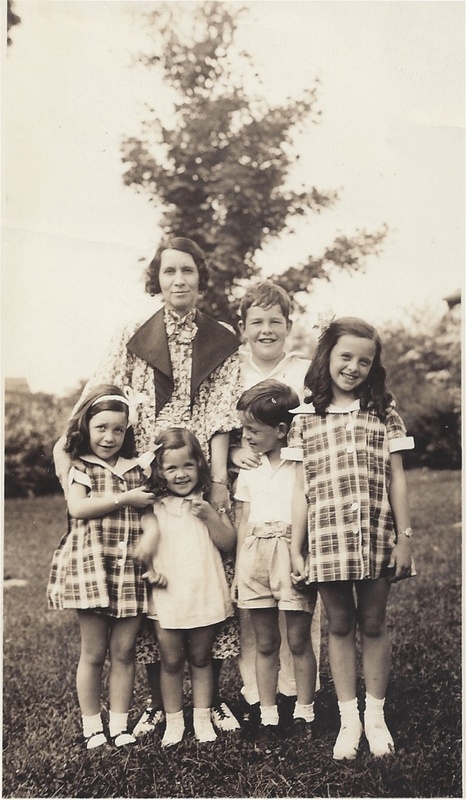 Mom and her brothers and sisters and Aunt Irene. Mom is the one pulling her little sister’s hair. 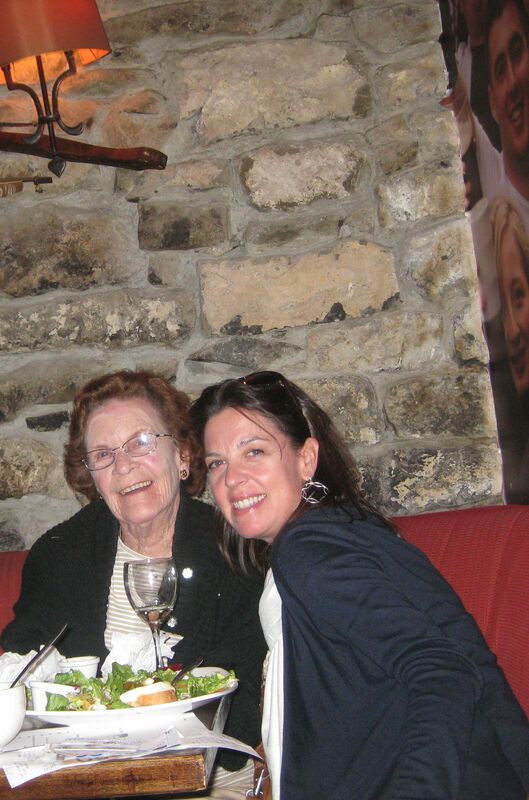 And like any truly great storyteller, my mom is authentic and fearless. She never shies away from telling a good story, even if it shows her in less than beatific light. Like when she got caught (at fourteen!) by the nuns smoking the Blessed Mother’s Grotto at St. Bernard Academy. 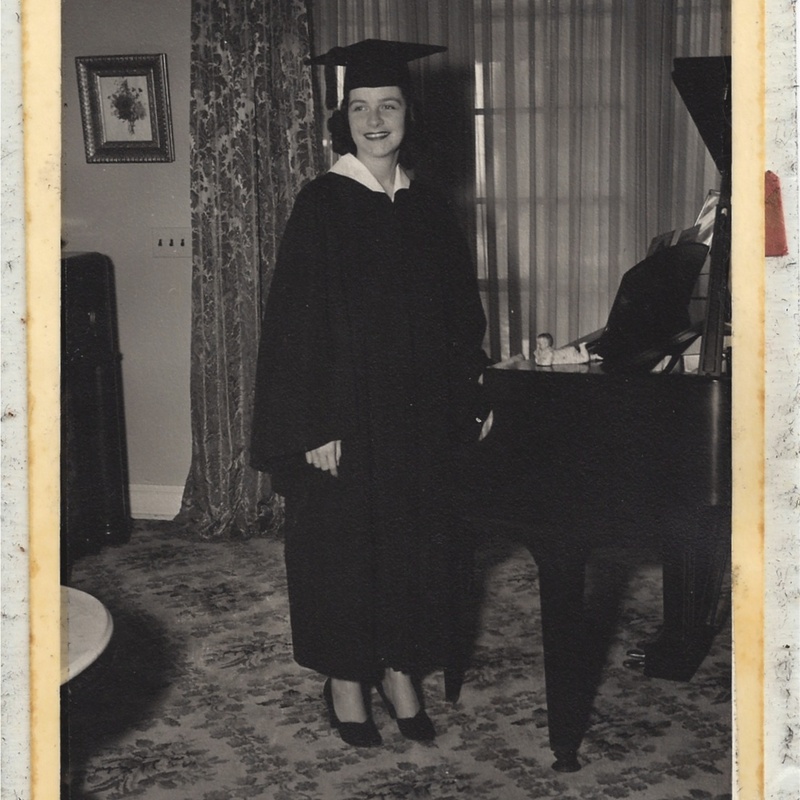 Mom at her 8th Grade graduation. N.B.-This is before the cigarette incident. Mom obviously received a B from the French professor. And no, she and Gussie never did end up in the Marines. I didn’t realize the power of Mom’s stories until I went to college and found that friends begged to hear more about Ida and Irene’s Christmas Parties (with soggy Ritz crackers and plenty of “sploe”) or the epic tale of Pawsy’s moved desk. It was thrilling to see that my pale imitation of her stories could keep my friends in stitches. From Mom, I learned that all good stories, whether Shakespeare or Brothers Grimm, need a beginning, middle and a definite end. 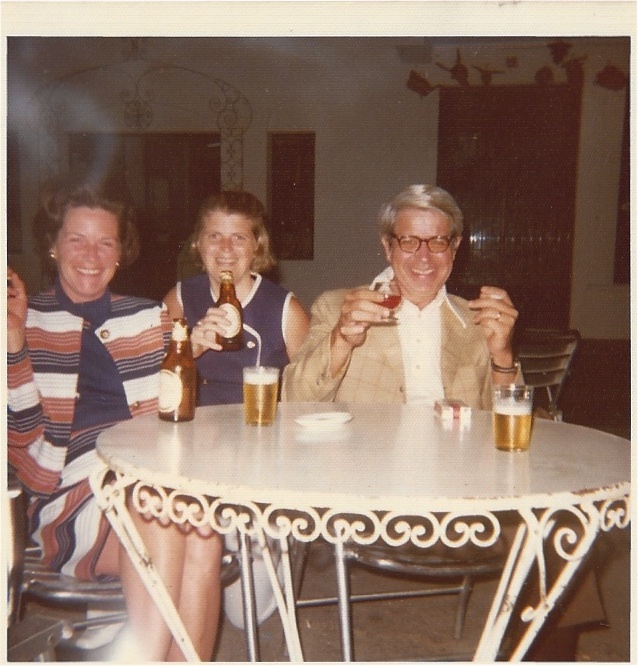 Move over Mad Men–it’s Margaret and Jerry in Spain. Friends, drinks and few cigs = great stories. There are so many more stories, but it isn’t nearly as fun without Mom’s distinctive Southern drawl. So, on this day that we honor our mothers, I would like to thank Mom for the gift of telling a story. I hope I do you proud. Trisha Yearwood had a hit a few years back, “The Song Remembers When.” Music has the power to place you back in a certain time in a unique way. Perhaps it’s just me, but I find that to be true with books as well. I can look at my bookcase and pretty much tell you what was going on in my life at the time I was reading a particular book. Anna Karenina will always remind me of a Christmas trip to Colorado with dear friends, Kristin Lavransdatter accompanied me to the South of France (though there were times I questioned bringing 900+ book through Europe), and a biography of St. Thomas More kept my mind off being on bed rest with my first child. A few months ago, that same first child came down with pneumonia and, after a midnight trip to the ER, ended up in the Pediatric Intensive Care Unit. Pretty much my worst nightmare. As I “slept” on the vinyl pull-out praying for a rise in oxygen levels and trying to ignore the beeps and alarms going off every couple of minutes, I was a nervous wreck. 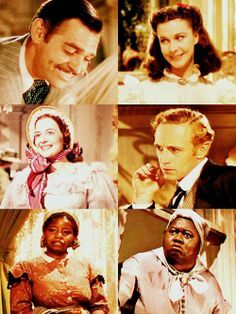 In an attempt to stop my addled brain from going to a very bad, scary place, I half-heartedly picked up Gone With the Wind. It had been sitting on my Kindle for a while. I’m not sure that I’d ever really read GWTW cover to cover before, but Lord knows I’ve seen the movie more times than I can count. I think you have to if you are a Southerner. Anyway, I thought it would be literary fluff–something to keep my mind off what was going on around me, even if only for a little while. But it was so much more. Margaret Mitchell weaves together the complexities and contradictions of Scarlett and Rhett against the backdrop of the political, social and spiritual upheaval of the Civil War. Yet she never loses her tight grip on characters and that’s what kept me reading late into the night in the PICU. As a reader, I was entranced; as a writer, I was awed. Margaret Mitchell’s words written 75 years ago about people dealing with life and death 150 years ago helped me through one of the most frightening episodes of my life. Everyone is now healthy and getting back to normal. We are so thankful. I don’t miss those scary nights in the PICU, but I will always be grateful to Scarlett, Rhett, Melly and the gang for keeping me company. I’d love to know if certain books bring back memories for you? Of bird nests and writing . . .
Spring is an enchanted season: buds just waiting to burst, chilly mornings that give way to gentle, warm afternoons, limbs that were brown and bare a minute ago suddenly sport a tinge of green. It is all so expectant and exciting. Kind of like the orchestra pit tuning up before a big musical. I’ve been working away on my second novel and I’m at a point that the newness and the anything-is-possible excitement feeling has faded away. Now I find myself questioning just about everything: Is the voice is right? Should I switch to third person? Are the different perspectives working? I’m far enough in that it would be painful to start again, but not so far along that I have the momentum behind me to charge ahead. Yesterday, I was pondering whether to start afresh or stay on course as I stared out the window at our backyard, just beginning to show the signs of Spring. My deep literary thoughts kept being interrupted by a very industrious robin going back and forth. I finally got up to investigate and saw that the little bird was busy building a nest in our patio umbrella. It’s a great place, really, to build a nest. It is protected from rain and the narrow pole is a good deterrent to any predators. But it is our patio table and we kind of like to use it as the weather gets nicer. I can’t see having a bird family dining with us being the most appetizing of situations. So, in that moment, I had another decision: do I let the robin do its thing and build away or stop this before it goes too far? I should point out that I have a soft-spot for bird’s nests. There is a complex and yet simple beauty about their design and the vulnerable, needy creatures they protect. I would never think of destroying a nest that was built or–gasp–one that contained eggs. But there was still time. Still time to let the robin make other, more permanent plans. The process of building a nest is not so very different from building a story. It requires the right location, a strong foundation and layers and layers of supporting material. You do your best to scout the right place and then you just have to go all in. So, I’ve decided to let it be. Obviously, something in that robin’s instinct told her that our patio umbrella was just the right spot to start a family. Why should I argue with nature? And maybe I should trust my instinct as a writer and keep going with my current work-in-progress. Too much questioning kind of takes the beauty out of the process. I am always fascinated by the first moment of inspiration–when that spark, even if it is only a glint in the periphery, makes itself known. It may take only a moment to be acknowledged and acted upon, or it might take years of quiet gestation. Regardless, it is a gift and one that I am always grateful to receive. Last year, I entered my first writing contest–a short story competition hosted by the Historical Novel Society. I thought it would be fun to try my hand at a short story after years of novel writing. I don’t think I even had a moment of doubt that I would write about Consuelo. The inspiration for the story came from this portrait by famed American artist John Singer Sargent. 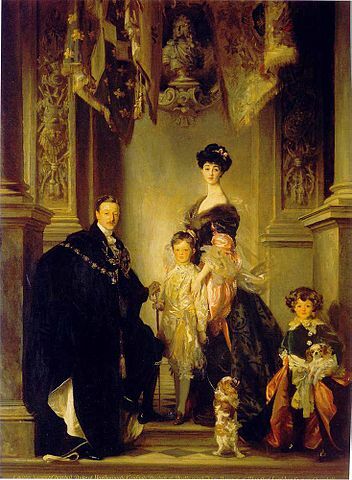 I first saw the portrait on a family trip to England after my high school graduation. I wasn’t overly impressed with Blenheim Palace (my tastes at the time ran more medieval) but when I passed by this painting, I could not move. Consuelo Vanderbilt’s long neck and proud, pleading eyes stopped me in my tracks. From our tour guide, I learned she was one of the young American heiresses forced into a loveless marriage by an ambitious mother desperate for a title (think Downton Abbey without the lovable Lord Grantham). I wanted to write her story and boldly began my first novel. Cut to twenty-(ahem) years later and I never finished the story. There was college, and life, and marriage, and children. But through it all, I never really forgot about Consuelo. So I researched a bit and began my short story, The Pearl of Blenheim. I had such fun writing it and was honestly shocked when it was short-listed for the contest. The HNS has recently published an ebook of the top twelve stories and, having read them all, I am even more shocked that my story received second place. These are some really great short stories . . . and if you are looking for some inspiration in this new year, I would highly recommend giving them a read. In true Flannery O’Connor fashion, the road to her family home is not a straight one. I can’t help but think she gets a good laugh each time one of her devotees ends up at the non-descript Milledgeville Mall, which is where GPS will take you if put in the address for Andalusia. We had to do a little backtracking until we noticed a sign directing us to a small driveway cut into the side of Highway 441. As we slowly drove down the wooded, dirt road to the house, I could almost swear I saw the Misfit peeking out from behind a tree. 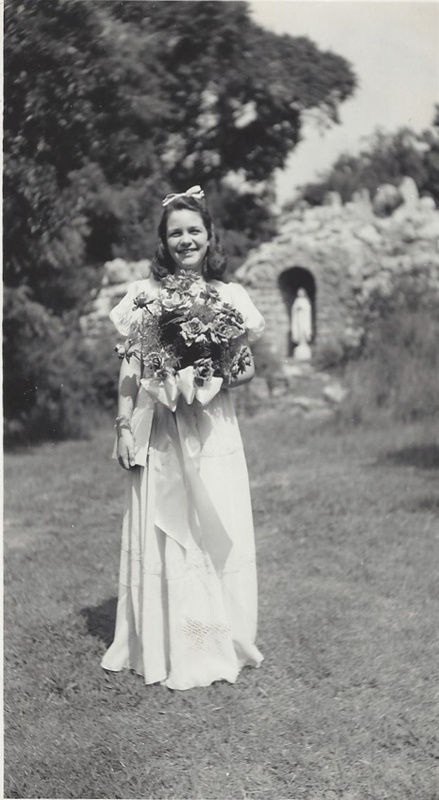 Though Flannery died in 1963, walking into to her home feels like she might have just run down the road with her mother, Regina, to the grocery store. The house is far from a shiny, bright tourist attraction. It’s a little gritty, a little sad, but ultimately as real as Flannery herself. The front door opens to a small staircase with a picture of the Sacred Heart of Jesus prominently hung on the wall. Just to the left is Flannery’s makeshift bedroom. It was originally the home’s parlor but was made in to a bedroom when advancing lupus made it impossible for her to manage getting upstairs. The poignancy of seeing Flannery’s crutches propped up next to her writing desk is impossible to escape. Her physical sufferings and limitations forced her back to the small Southern roots that she had so hoped to escape. But, perhaps, it was that very thing that allowed her to focus solely on her vocation. 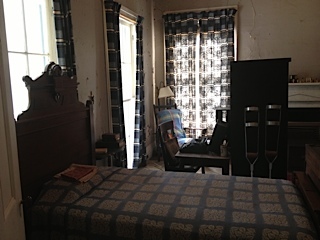 The room is sparse and ascetic–bringing to mind a nun’s cell. In the middle of the room, a typewriter sits at the ready on a little desk pushed up to the back of an armoire. Flannery was obviously not into feng shui, but she was a writer who knew herself well and kept visual distractions to minimum. (note to self: a beautiful view does not necessarily aid writing). It is amazing to think that from this little room, Flannery honed her craft to create some of the greatest fiction of the 20th century. If you are interested in visiting Andalusia, or learning more about Flannery, I highly recommend visiting Flannery O’Connor-Andalusia Foundation. God bless my sweet husband. I realize that going two hours out of the way on a 14-hour car trip with children is asking a bit much. And that this particular detour was to an out-of-the-way old farm house in the middle of Georgia in the middle of summer, well, I owe him one. I can’t easily explain my almost obsessive desire to go to Andalusia, Flannery O’Connor’s family home in Milledgeville. It was more than a sight-seeing visit to the home one of the greatest American writers of the 20th century. For me, this was a kind of pilgrimage to visit a dear friend. Sure, this friend passed away years before I was born, but that’s no problem. One of the best things about being Catholic is that we don’t limit our friends to just those we pass some time with here on Earth. We believe in the communion of saints and I don’t know if I could get through one single day without some sort of help from my friends on the other side. Flannery has helped me be a better writer and, more importantly, she has encouraged me to become a better person. Through her stories and collected letters, I have gotten to know Flannery–her wit, her humor, her absolute commitment to her vocation as a writer and her profound, unsentimental faith. During her time at Andalusia, Flannery often invited those she corresponded with to come for an afternoon visit on her front porch. I can’t help but think my longing to get to Andalusia was somehow an invitation in itself. Next up: peacocks, Drano, the Misfit and other images from Andalusia.